After 15 years teaching in structured classrooms, I knew the disadvantages of having a rigid schedule for both teacher and learner. I wanted a robust, joyful learning atmosphere in which my child could explore the world and take the initiative. I had visions of setting our home up like a library and workspace, in which my son could select what he wanted to do and create his own schedule. And this is true – up to a point. I discovered that my son appreciates knowing what we’re going to be doing during the day. He likes to look forward to our activities and outings. And he really thrives when we have predictable routines. We don’t schedule rigidly, but we do have defined routines that we practice regularly. This helps both of us to feel comfortable and productive, without being overscheduled. If I left the choice up to my son, he would spend a lot of time reading (because he loves it), but almost no time on almost anything else. The logical conclusion was that he would fall behind in his less preferred areas, simply because of this avoidance. I don’t want to have to “sneak in” content or skill practice, like putting spinach in a chocolate smoothie. Nor do I want to give him stickers or other incentives for learning, which I believe should be intrinsically rewarding to most young children. I want my son to be a full participant in what we’re doing, rather than having something done “to” him. 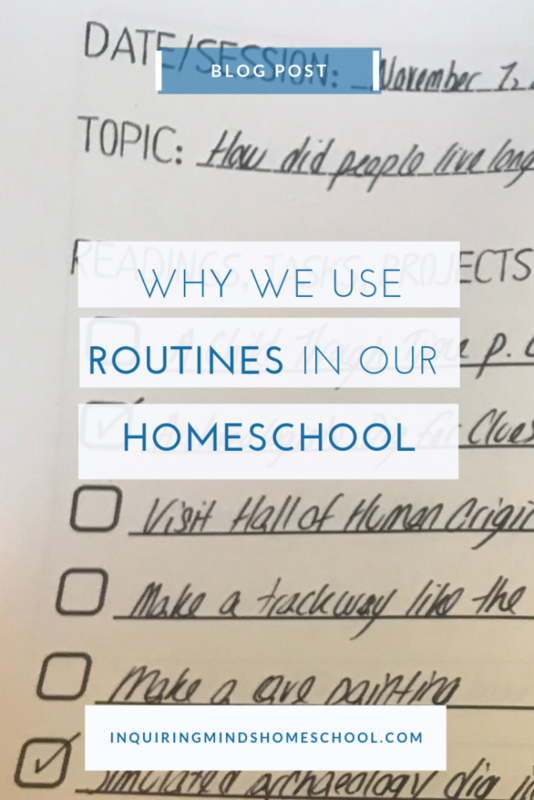 So we make our priorities a regular part of our homeschool routine, or we risk not getting to them. From my years of teaching students with diagnosed disabilities, I know it’s important to catch difficulties early. It can be hard to tell whether a child is not ready developmentally, or just isn’t interested. But, children sometimes avoid “boring” activities not because of true boredom, but because they’re struggling to learn it. That is what happened with my son and handwriting. When he resisted working on it, I let it go for a while. But when too much time went by without picking up a pencil, his anxiety about it increased. He balked more and more. What he actually needed was more handwriting time, not less. And that required developing a routine for practicing handwriting. We use Handwriting Without Tears, which I highly recommend! Now that we practice handwriting 2-3 times per week, there’s so much less drama – and my son is seeing real progress. Which makes him even more willing to put in the time and effort! With routines, we have a structure to our week that doesn’t feel constricting. We can move flexibly through our days without drowning in having too much to do, but also not feeling chronically understimulated or stuck in a rut. We vary our activities from day to day, so that we always have something coming up to look forward to. Some routines date back to when my son was a baby – reading aloud together before bedtime, for example. This started almost as soon as he was born. Even when we’ve gotten home late or are in a new hotel room, jet lagged from a long flight, we always read at least a few sentences together before we say goodnight. Other routines have morphed over time – instead of napping in the middle of the day, my son lays in bed and reads to himself. Nap time has become quiet down time. Routines can be accommodating and social – like having poetry teatime on a weekend morning and inviting Grandma or visiting guests to participate. Or squeezing in a Freewrite Friday at a cafe in between shopping errands. 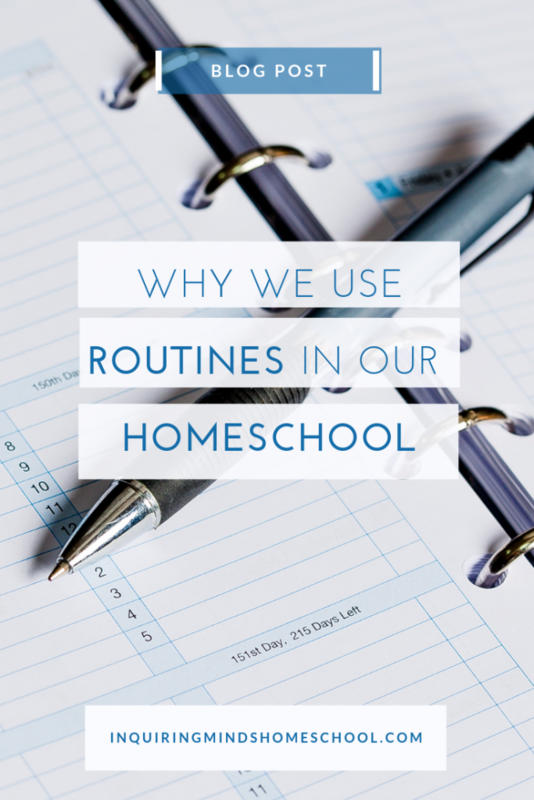 We don’t schedule all our homeschool routines on specific days of the week, or specific times of day. But we do make an effort to have a predictable rhythm. The goal is to get to the point where these routines become regular learning habits. 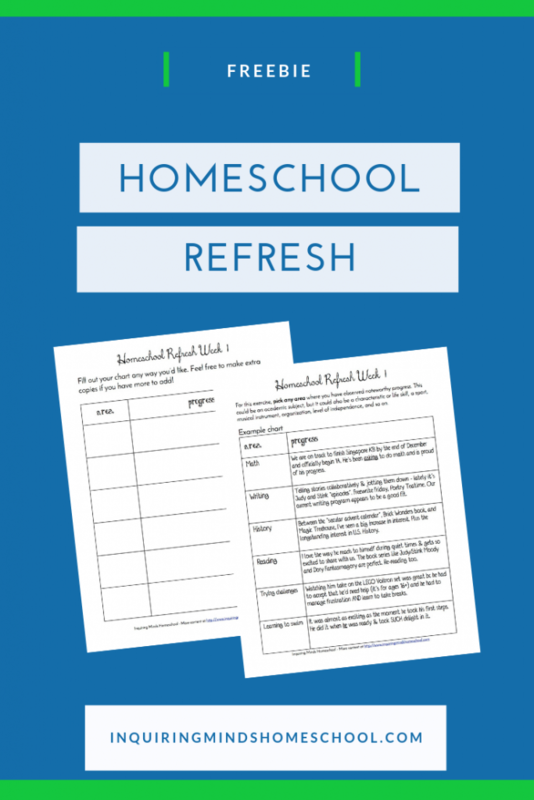 Develop homeschool routines together. Sketch out a “typical day” or “typical week” with your child’s input. What needs to happen every day? Once a week? Once in a while? When does your child think that she will do best with a particular activity? 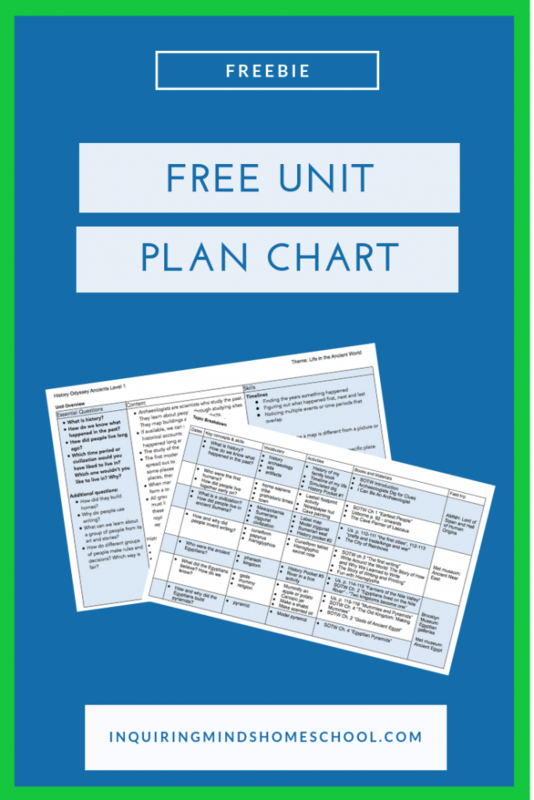 This can be revisited periodically, particularly as your child gets older and more independent. Add in fun choices. Our Poetry Teatime routine includes decorating the table with a tablecloth and lit candle, and choosing a yummy treat to bake. Handwriting might include a choice of writing implement or medium (this week we traced with Sharpies on Shrinky Dinks). Incorporate your child’s interests. If you want to get your child doing a page of math every day, invite her to bring over her Legos and use them as manipulatives. Once the work is done, the Lego play can continue. Next time math rolls around, she can choose a different set of manipulatives. Get a learning space ready. Set the stage by bringing out visual cues to signal that it’s time to participate in your learning routine. For history, you might pull an old sheet over the dining room chairs to make a fort. Science might involve a white lab coat or safety googles. You might play a theme song as you settle in. Be flexible, but consistent. It takes time to develop new habits. This includes habits of learning! Make sure to practice the routines you’ve set up regularly enough so that they really feel “routine”. If it’s not working, troubleshoot it together. You can gradually release more responsibility to your child for putting healthy learning habits into place, but it starts with modeling this thought process and then practicing it together. In other words… make these discussions part of your homeschool routine!